It is a nice gift for your kids. The case is sturdy to keep their beloved iPod from random accidents, sudden drop or spilt drinks. Pls refer to B077FP1TKL for the newest version of Merit iPod case. Non-permeable membranes microphone and speaker cover vents, through which clear sound can be heard and captured. 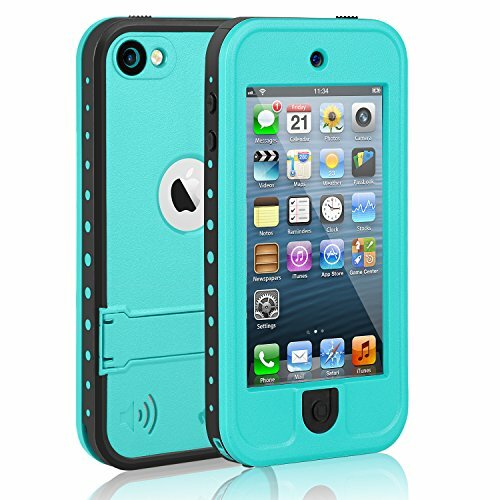 This waterproof Case grants you the freedom to surf, swim, snorkel, ski, drift, run, train and relax with your iPod by your side. We offer 18-month worry-free warranty for Merit waterproof case. Please Contact us if you get an occasional defective item, damaged Package with missing parts or you have doubt of the order. Headphone adapter is used for 3rd party headphone in case of no original one. If you have any questions about this product by meritcase, contact us by completing and submitting the form below. If you are looking for a specif part number, please include it with your message.